Synopsis: "Cinder is back and trying to break out of prison—even though she'll be the Commonwealth's most wanted fugitive if she does—in this second installment from Marissa Meyer. Halfway around the world, Scarlet Benoit's grandmother is missing. It turns out there are many things Scarlet doesn't know about her grandmother, or the grave danger she has lived in her whole life. When Scarlet encounters Wolf, a street fighter who may have information as to her grandmother's whereabouts, she is loath to trust this stranger, but is inexplicably drawn to him, and he to her. As Scarlet and Wolf unravel one mystery, they encounter another when they meet Cinder. Now, all of them must stay one step ahead of the vicious Lunar Queen Levana." *there will be no spoilers for this book, but since it is the second in the series it will contain spoilers for the first book. I think that I appreciated this book so much more than cinder for a few reasons. Reason one was because simply I wasn't use to or aware of how much I was comparing it to contemporary. (Sound stupid I know) I read so much of it and it is my favorite genre, but I noticed that I was reading this and thinking, "I'm not blown away. 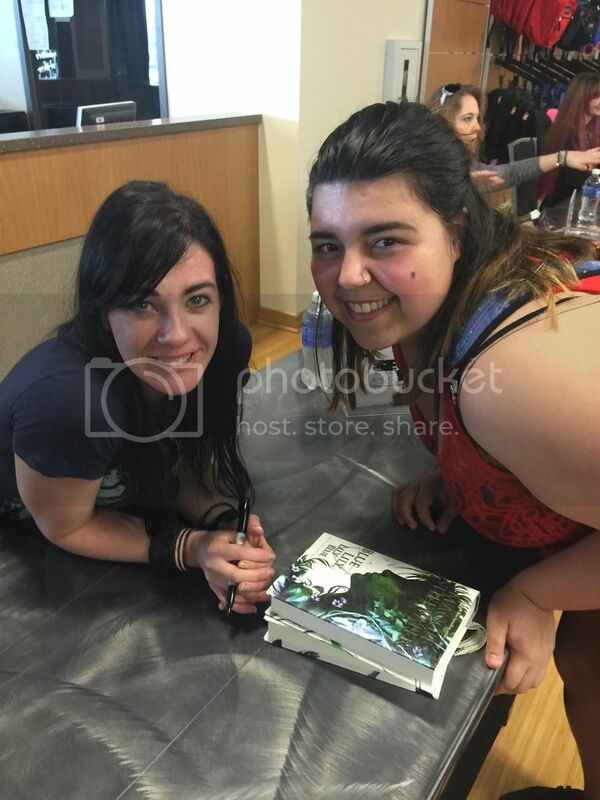 People like this more than John green?" Again this is something completely stupid, but it was my thought process. Now I've acknowledged that I did that and now I don't do it as often. I find myself reaching more towards other genres and enjoying them because I'm not comparing a science fiction retelling to a contemporary novel about cancer. I also was not use to the world building. I did not start any series in 2014, so jumping into series in 2015 was hard to get use to. The world building was hard for me to adjust to because I preferred to read contemporary. There is no world building. You read it and then you get through the story. So with that being said, scarlet was better because not only was I more open to reading it but because I felt like it pushed more towards the characters and the main plot line than just the world that was being set up. There was more action. Scarlet has become one of my favorite characters of all time because she was just so interesting. She is fighting for her grandmere, and she doesn't stop even when it looks like things will never turn around. I love her and her attitude. Her relationship with wolf was instalovely, and I won't deny it. Her being his "alpha-female" made me roll my eyes a little bit, but I still love their dynamic. I think that even though it was insta-lovely it kind of had to be because of the original fairy tale. I did not care for Kai's POV in this installment. He was boring and he always made me put the book down. He's character is just not what I want to read about. Alone he is kind of blain. I know he is important to the story, but I would just rather not have to read from this perspective. 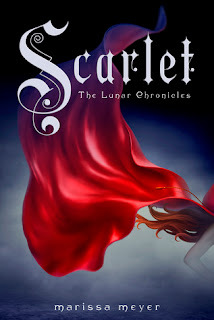 Overall, Scarlet is a beautiful installment in the lunar chronicles. The second book is easily one of my favorites of the year so far.